Depending on your location, cover crops can have a big impact on your fields. Steve Haring, second-year Ph.D. student in the Department of Plant Sciences at UC Davis, has been collecting research on how different climates influence the effectiveness of cover crops. “As we try to design cover crops, there are a lot of different paths we can take, and it’s important to test these different things out and see what is best for the specific things we can use cover crops for in the Central Valley,” Haring said. He further mentioned that for optimum weed control in the Valley, growers should plant in the early winter months in order to prevent annual winter weeds. Haring worked with the UC Davis Cooperative Extension on three different sites across both the Central Valley and northern Sacramento Valley collecting data on growth rates for cover crops. He found that because the northern valley had more direct sunlight hit the ground, cover crops thrived, and as a result, weeds were minimized. The research will not stop there, though, Haring ensured. “The study I’m working on is funded by the Almond Board, and it’s continuing for a second year and maybe a third, so we’re trying to repeat it and validate and then also sort and synthesize information because there are people working on weeds but also working on water, insect pests, pollinator health, nematodes, and call sorts of ecosystem services,” he concluded. California Ag Today recently spoke with Billy Synk, director of pollination programs with project Apis m (the genus/species of European honey bee). We asked him about bees and the importance of cover crops in relation to bee health, and orchard soil health. Early this year was difficult year with the lack of rain. “Those almond growers that were on drip did not really have great cover crop stands,” he said. The project Apis m mustard mix is a combination of canola, musters, and daikon radish that will bloom before the almonds and give the bees a boost of nutrition energy before the almond bloom starts. “All these colonies from everywhere in America that are at their hungriest or at the weakest are placed in almond orchards, and they’ve got their most important job to do: that’s pollinate almonds,” Synk explained. These cover crops are important to get bees stimulated before almond bloom. “If you can get them stimulated before the almonds bloom, they are going to have a lot more vigor and vitality and really attack those blooms when it is time,” Synk said. The bees go after the almond blossoms in what is called a positive feedback loop. “They are looking for signs of spring, day length, and temperature, but they’re also looking for the very first fresh pollen to come in that year,” Synk said. Bees will lay more eggs inside their hive when the new pollen comes. “That brood has a pheromone that cues the bees to leave the hive to harvest more pollen to support more bees, and the whole cycle continues,” Synk explained. On their farms, growers are active stewards of the land, protecting soil quality and water quality as well as supporting wildlife by preserving their habitat. 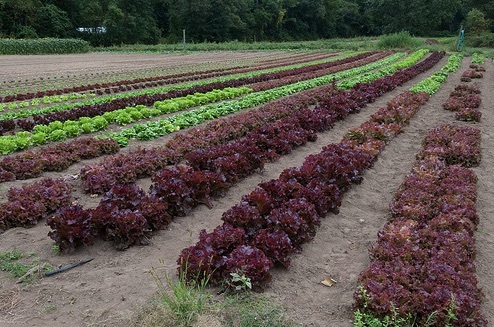 At the same time, fresh produce growers must ensure that their crops are free from pathogens that can cause foodborne illnesses. To help growers and food safety professionals achieve all of these important goals, UC Cooperative Extension (UCCE) has launched a free online course. 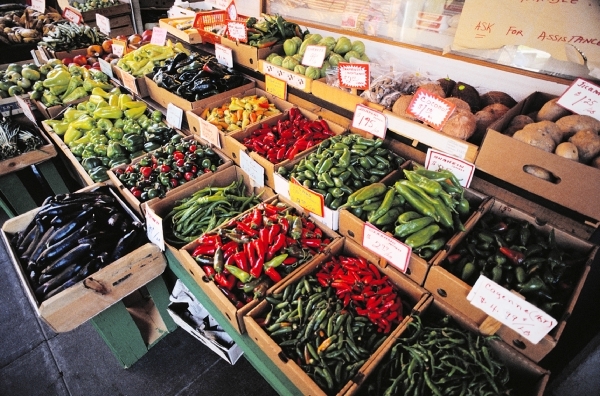 “Actions that farmers take to protect food safety may affect natural resources, and conservation practices may affect food safety,” said Mary Bianchi, UC Cooperative Extension advisor in San Luis Obispo and Santa Barbara counties, who oversaw design of the course. The intent of the UCCE online training is to demonstrate that communication between food safety professionals and growers can help to achieve a balance between food safety and sustainability. “Our co-management course will help food safety professionals better evaluate the risk of conservation practices,” said Bianchi. The course also provides growers with tools to evaluate their strategies for managing food safety and sustainability. “After the training, growers and auditors will be better prepared to engage in realistic and frank discussions of co-management strategies used in crop production” Bianchi said. The free UCCE online co-management course and related resources are online at UCCE San Luis Obispo County website. This project was funded by a $39,650 grant from the University of California Division of Agriculture and Natural Resources. A video describing co-management practices from farm to fork can be viewed online at “Co-Management of Food Safety and Sustainability in Fresh Produce“.